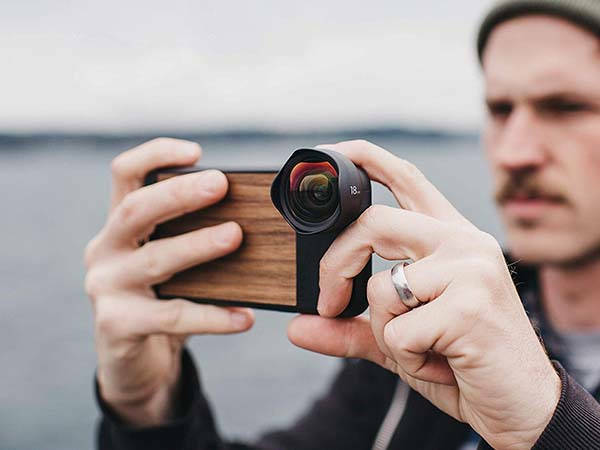 The Moment wooden iPhone XR case not only delivers an elegant and reliable way to protect your phone, but also works with Moment’s premium lenses for awesome photos and videos. Like phonegraphy? Let’s keep checking. This is a well-designed and versatile snap-on protective case designed for iPhone XR. 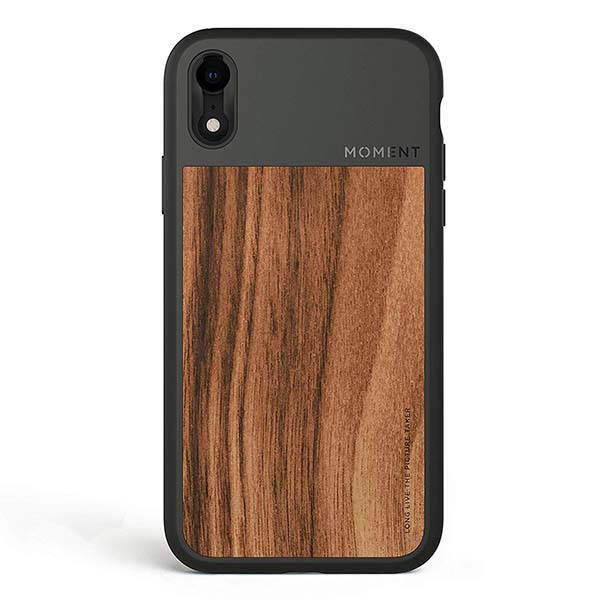 As we can see from the images, the iPhone case shows off a slim, form-fitting design, and the matte finished exterior delivers a comfortable and firm grip, while the integrated walnut wood veneer on the back brings one-of-a-kind wood grain onto your phone for natural aesthetics. With a rubberized TPE body, the iPhone XR case protects your phone from shocks and scratches, and it’s lined with soft microsuede to protect the back of your phone from scratches caused by friction between your phone and the interior. More importantly, using a custom lens interface that uses fiberglass, the case works with Moment’s premium phone lenses so that you can get more incredible photos and videos. Moreover, all iPhone buttons and Lightning port are accessible, and the flexible buttons let you enjoy the natural button feeling. The Moment wooden iPhone XR case is priced at $34.99 USD. If you’re interested, jump to the product page for its more details.